The book comes with rich vocabulary and impressive style of narrating skills. Not everyone can write poetry, not everyone can write mythological themed stories. But doing both at the same time is worth praises. The mythological theme, with the interesting story line is written really well. The whole story line is drafted with much creativity in form of poetry. The author has done commendable job on working the book. The characters are beautifully characterised and described so well. You can imagine it so well. The depth in the thoughts of love, romance and philosophy is very beautiful. The rich vocabulary is used, often to turn your eyes on dictionary. Rest is beautiful. The author sure has magical skills in writing and creativity. The cover of the book is impressive. It happens only in love. Well. The title goes so apt with the concept, plot, and story of the book. It’s love, greater than anything in this world. It has its own powers, limits, extents, time, advantages and also the disadvantages. Sometimes, the love makes up everything beautiful in life, sometimes it ruins it all. Sometimes, love inspires you. Sometimes, love demotivated you. Sometimes, love can make you feel deprived, at the same time love can be amazing to you. It has such a strength. Aditiya a college going guy, who is carefree and also careless, who doesn’t really have goals. He has permanent relaxation fun with the idea of enjoying in his college days. Unaware about the world that hits you hard when you finish your education and wander for your goals and jobs. After his graduation, Aditiya finds himself demotivated and bored, not knowing what to do, as his friends are already doing good with thier preplanned life. While, randomly watching the news, he falls in love with one reporter. And that’s all. From then, the life changes completely. His own efforts are added to make his life. The transformation and efforts are worth inspiring. And that’s the strength of love. The book is simple, yet beautiful. You sink and Drown In the emotions, if you’re emotional person. I quiet enjoyed reading this book. Anyone who loves reading love stories will enjoy this book. A father takes his son to a village to show him how poor they are, and how rich, comfortable and luxurious life they lead. But, the son’s perception regarding the same changes completely, and he states they are much poor they than of villagers. This one famous short story is told, read and heard many times. This concept is inspiring enough to change one’s perceptive about the life. 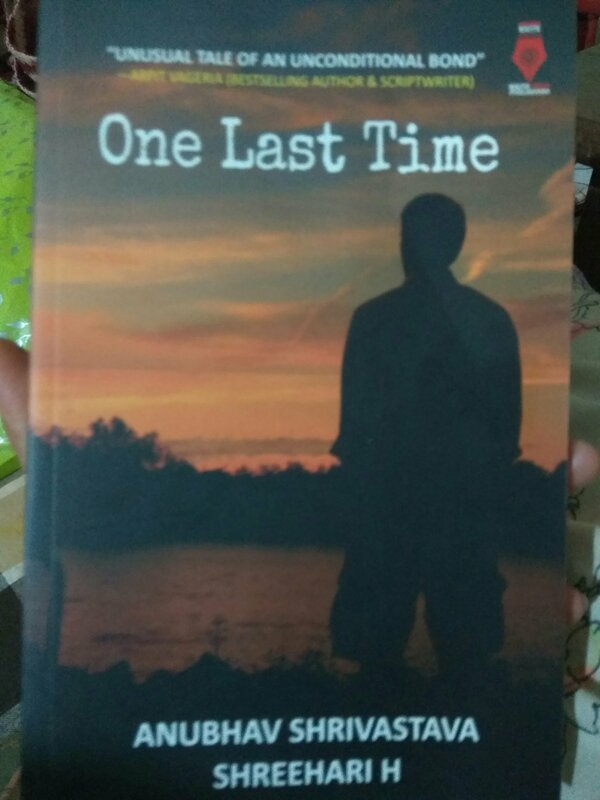 The novel “One last time” is authored by Anubhav Shrivastava And Shreehari H. The story revolves around Nakul, 15 year old boy who is sent to village to see around the Culture, way of living, poverty, adjustments. In short, to see the other part of the living that is totally opposite to his. It obviously takes time for one to adapt the different culture other than thier routine, no matter what circumstance you are living in. Nakul, obviously had to adjust very much towards himself to adapt in that nature, with given time and love he starts falling in love with the atmosphere. He sort of becomes to strongly connected with the land, nature, and everything else. He also finds true friendship with Prakash, who is always with him. Thier bonds had no limits in terms of love and respect towards each other. The emotions and perception of living changes him entirely, and promises to come back to the village in his next holidays. The book is really simple and sweet. I liked the idea and concept of the story, the authors worked on, unlike any cliche romance. The narrative skills are quite fine with the flow of easy language. There are quiet few grammatical mistakes that could have been avoided. I didn’t really get the catch of the title when considering the story inside the book. The cover of the book is okay ish. Nevertheless. Quiet good read.